...AND what actually works much better than Metformin, and if that option might be a good fit for you. Metformin is a medicine that is sometimes prescribed for Insulin Resistance, Prediabetes, Type 2 Diabetes, Gestational Diabetes, weight loss and PCOS. Metformin is approved by the FDA to TREAT Type 2 Diabetes. Metformin has NEVER been approved by the FDA for Type 2 Diabetes PREVENTION. Metformin has also NEVER been approved by the FDA for treatment of Insulin Resistance, Prediabetes, Gestational Diabetes, weight loss or PCOS. (When a doctor prescribes medication for a condition that the FDA has NOT approved it for, it's called an off-label prescription. Doctors ARE allowed to do this, so don't freak out if your doctor suggests Metformin even if you don't have Type 2 Diabetes). How Does Metformin Help Blood Sugar Control? Because Metformin changes how your body reacts to glucose, you might lose weight, and you might experience lower fasting blood sugars and A1C. However, you need you know Metformin doesn't work for everyone. If you have taken Metformin for 6 to 12 months with no changes, Metformin might not be for you. If You Take Metformin, Can You Just Forget About Your Blood Sugar Problems? No, that would be a terrible mistake! Metformin is not a magic pill! Metformin is meant to be used TOGETHER with healthy diet changes and daily exercise. You would notice very little change if you only took Metformin and did nothing else. You MUST make changes with what you eat, how much you exercise, and by making other healthy lifestyle changes (like quitting smoking or getting enough sleep). Does Metformin Fix Your Blood Sugar Control Problems Forever? No, it simply helps you have better blood sugar control when you take it. That is why you need to make dietary changes and get daily exercise WHILE you take Metformin. Some people think Metformin is like a magic pill. They think, "I'll take Metformin for a while, then I'll be healed and won't have blood sugar control problems anymore!" ...unless you've made enough changes to your diet and how much daily exercise you get. So, rather than thinking of Metformin as a magic pill that permanently heals you, think of it as giving you a little 'breathing room'. Its job is to give you time to make some serious changes to what you eat, how much activity you get, and other lifestyle changes. Does Metformin Have Any Side Effects? Yes, most people experience many side effects with Metformin. For some people, these side effects go away after a few weeks. For other people, these side effects never go away, making life quite miserable. Taking extended release Metformin can reduce side effects for some people. Can Metformin Cause Liver or Kidney Damage? Yes, liver disorders and liver injury have been reported. If you have liver disease, you should discuss this with your doctor before you decide to take Metformin. As well, pre-existing kidney problems do cause Metformin to stay in the bloodstream and build up. This can cause kidney failure. If you have kidney disease, you should probably not take Metformin, but be sure to talk to your doctor. Does Metformin Cause Vitamin B12 Deficiency? Yes, you should definitely take a B12 supplement if you take Metformin. 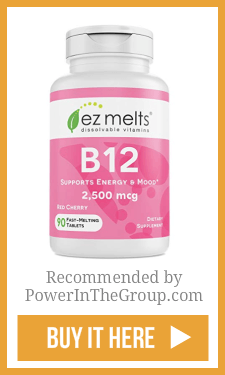 B12 supplements are better taken as a lozenge that you dissolve under your tongue (sublingual) rather than the type you swallow. Does Metformin Have Any Long-Term Risks? Metformin was not studied at all with large groups of people until the 1970s, and has only been approved in the USA since 1995. There are some concerns with what might happen if you take Metformin for a long time. For example, in a 12-year study, Metformin increased the risk for Parkinson's disease and Alzheimer's dementia, by more than double! You need to consider this information when you make the decision whether to take Metformin or not. "Risk for Parkinson's disease (PD) or Alzheimer's dementia was more than double during a 12-year period for those who took metformin vs those who did not." Effects Of Metformin Exposure On Neurodegenerative Diseases In Elderly Patients With Type 2 Diabetes Mellitus. Prog Neuropsychopharmacol Biol Psychiatry. 2017 Oct 3;79(Pt B):77-83. Do You Have To Take Metformin to Get Better? Most people with Insulin Resistance, Prediabetes, Gestational Diabetes and PCOS do NOT take Metformin. Some people with Type 2 Diabetes do. Your doctor may suggest you take Metformin for your Insulin Resistance or blood sugar control problems. 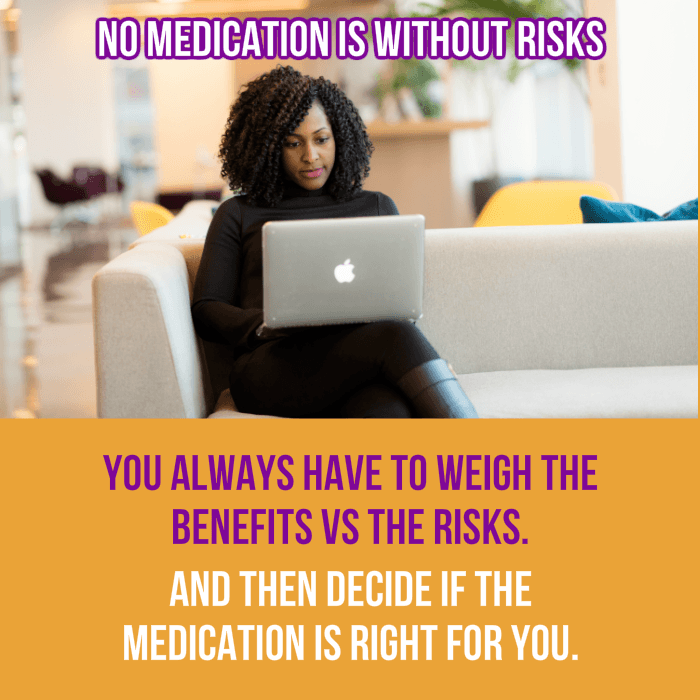 YOU have to decide if Metformin is right for you, and only YOU can make that decision for yourself. There is no shame in taking Metformin! Diet and lifestyle changes CAN and DO reverse Insulin Resistance, Prediabetes (and even Type 2 Diabetes)! AND Diet and lifestyle changes WILL make a huge difference with PCOS and Gestational Diabetes too, in some cases making it totally go away! We have women who do it all the time here at Power In The Group! So YOU could try it too! If you're willing to make an effort, you can ask your doctor if you can TRY diet, exercise and lifestyle changes FIRST. ​Can Metformin Make Me Gain Weight? Not normally, however, many other medications do cause weight gain. If you're taking more than one medication, check to see if your weight gain might be from another medication. ...then talk to your doctor. Can I Drink Alcohol and Take Metformin? No! You should never drink alcohol if you're taking Metformin. ...you'll have MUCH better blood sugar control if you don't drink. Is Metformin Less Effective As a Person Gets Older? Yes, the older you are, the less effective Metformin will be for you. Scientists aren't sure why this happens but insulin sensitivity does naturally get worse as people get older, so scientists think that might be why. If you're Prediabetic or early Type 2 Diabetic and over 40 years old, intense diet and lifestyle changes will be more effective for you than Metformin. Does Anything Work Better Than Metformin? A super big study of over 3000 people, that lasted over 10 years, shows there is! In this long-term Diabetes Prevention Research Study, intense dietary and lifestyle therapy worked better than Metformin therapy! All of the great results were a huge eye-opener to the researchers! BUT...this DOES NOT mean you should not take Metformin! Still, you do need to know you CAN reverse Insulin Resistance, Prediabetes and EVEN Type 2 Diabetes without Metformin! To get started with a healthy Diabetes-reversing diet, download the 95-5 Wellness Solution NOW! 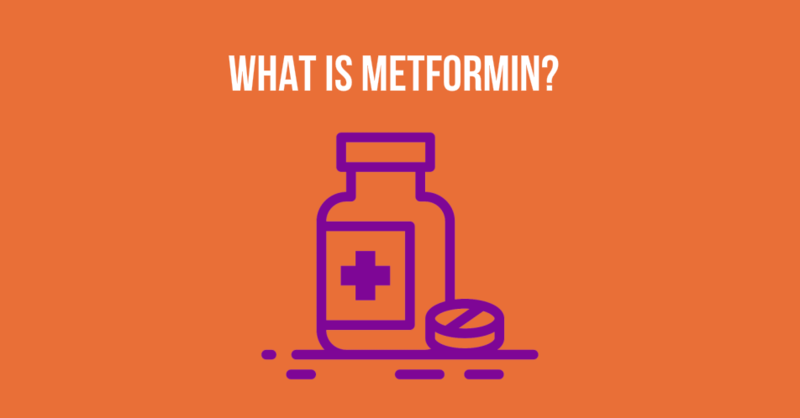 I hope you've enjoyed learning "What is Metformin?" and how it might help blood sugar control problems like Insulin Resistance, Prediabetes, Type 2 Diabetes, Gestational Diabetes and PCOS. The decision to take, or to not take, Metformin is up to you! Your doctor can't make the decision for you. Neither can I or anyone else. So arm yourself with the facts and then make the decision that's right for you. Effects Of Metformin Exposure On Neurodegenerative Diseases In Elderly Patients With Type 2 Diabetes Mellitus. Endocrine Abstracts: Metformin And Acute Kidney Injury: Is It The Culprit?